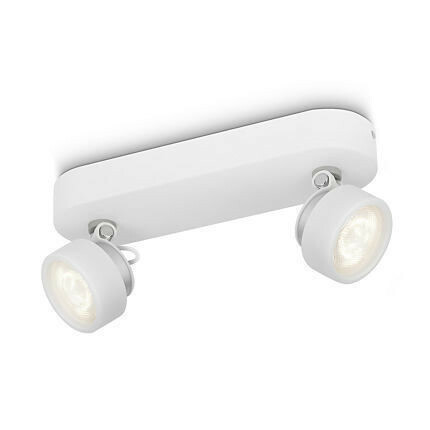 This Philips Rimus dual spot in white has a subtle, timeless design. Each adjustable spothead features LED lights circled by a light grey accent ring. It has an easy-mount ClickFIX system.